It had been a little more than a year since I moved to Amsterdam and spent 4 months there, so last weekend it was finally time to go back. I truly missed this city so much ever since I left, so when I set foot on the cosy streets overlooking the canals, I got a huge feeling of joy. I made a big Amsterdam Hotspot guide & map last year, but I thought it needed some updating since the city gained so many new hotspots the last few months. 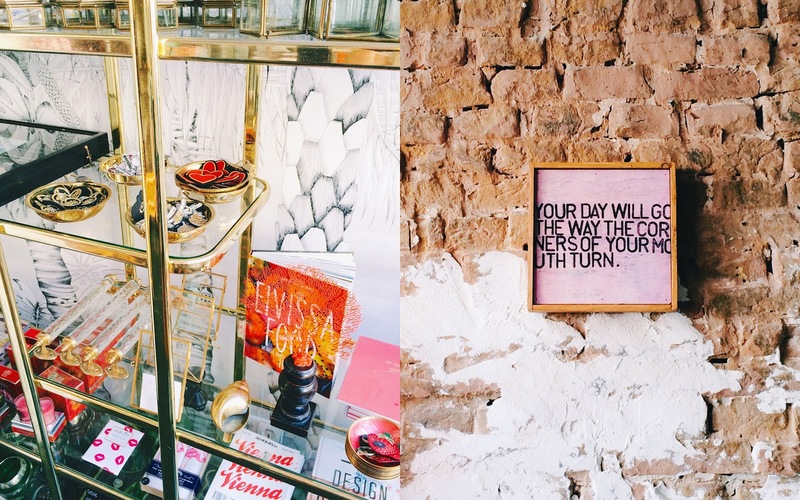 In this post I'll walk you through my weekend and the new hotspots I discovered (+some old favourites). I arrived in Amsterdam on Saturday morning and would leave Sunday evening, so it was a short little visit but a good one. Two friends from Germany were visiting the city for the first time so I was their guide for the weekend. We took it easy and strolled around mostly, going in and out of little shops and cafes. We went to a few new places that recently opened so I thought I'd share, as always! Right on the corner of the Lijnbaansgracht and the Weteringsstraat you'll find a little cafe called Back To Black, which opened when I arrived in Amsterdam last summer. The place is truly charming, with big open windows overlooking the canal, a few little outside seats in the sun and a tiger cat who snoozes on the windowsill. The coffee is really good and the cakes (banana bread!) are homemade and freshly baked. 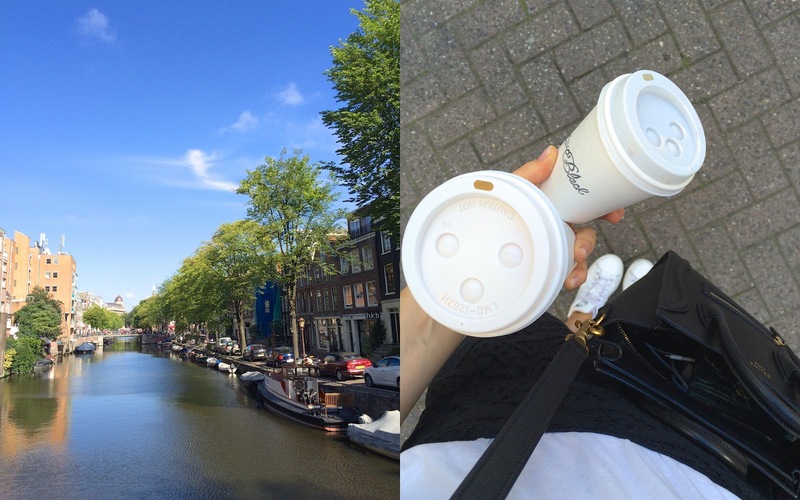 As a little welcome-to-Amsterdam, I brought the girls some morning coffee and we went back the next day for more morning coffee. The most charming café in Amsterdam in my opinion! If you know me a little bit, you'll know that this is one of my favourite breakfasts ever. 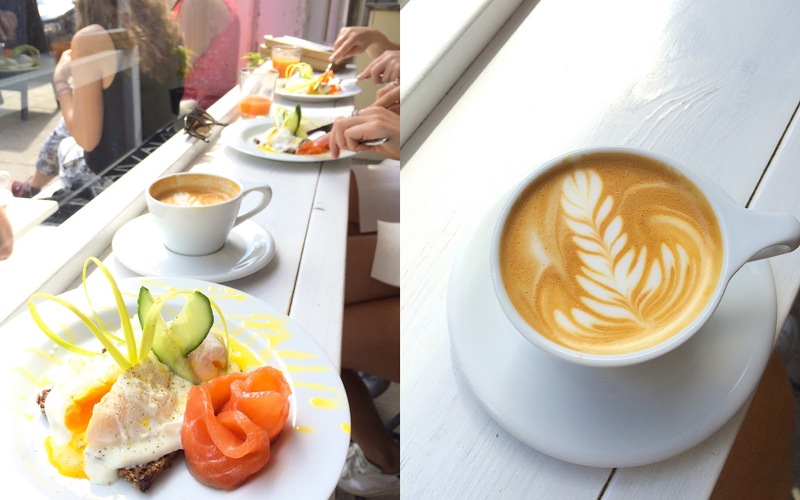 A pretty and strong flat white with a poached egg on rye bread with cured salmon. Scandinavian Embassy just nails it with this breakfast. No wonder they've won so many coffee awards! Their cinnamon buns and carrot cake are also to die for, however sadly I didn't get any last weekend. 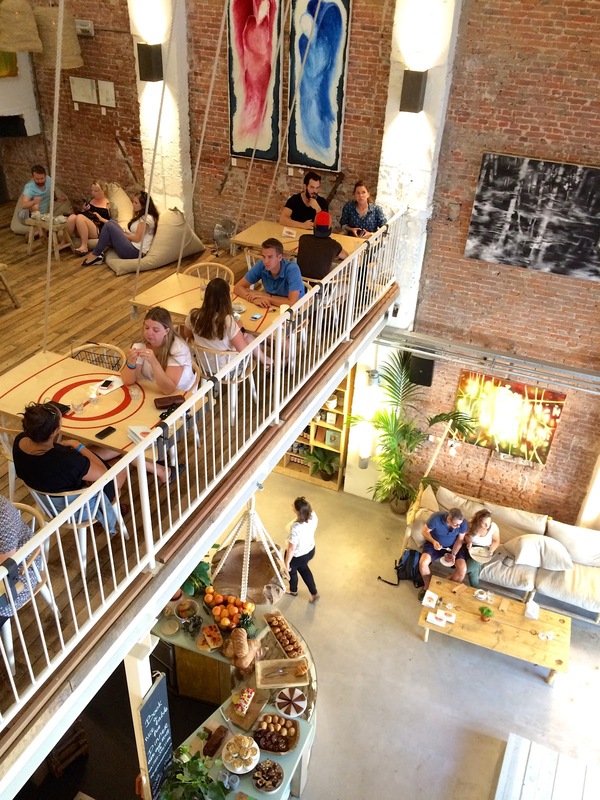 This is a cute concept store in De Pijp with a breakfast area upstairs where you can drink frothy cappuccinos, eat some cake or have a brunch/lunch with a healthy green juice. Vegan and vegetarian options are available as well here. The shop is small but they sell some nice brands here. 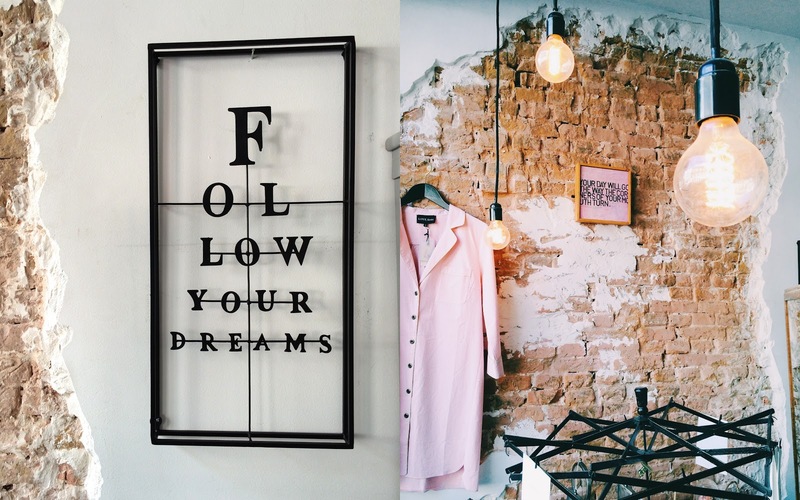 This is a little concept store (with two locations in Amsterdam & an online shop) where you can find the cutest stationery, jewellery, underwear, interior decoration and gifts. 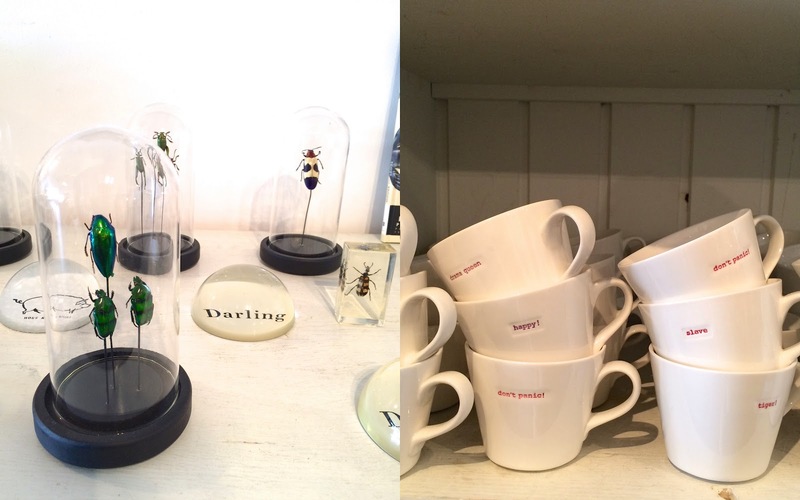 If you're looking for a gift for someone special (or yourself, pourquoi pas? ), this is the place. I could spend hours here looking at all the pretty things they have here! If you're not in the mood for going to the museums, you do have to make a little stop at Het Museumplein, my favourite square in the city. 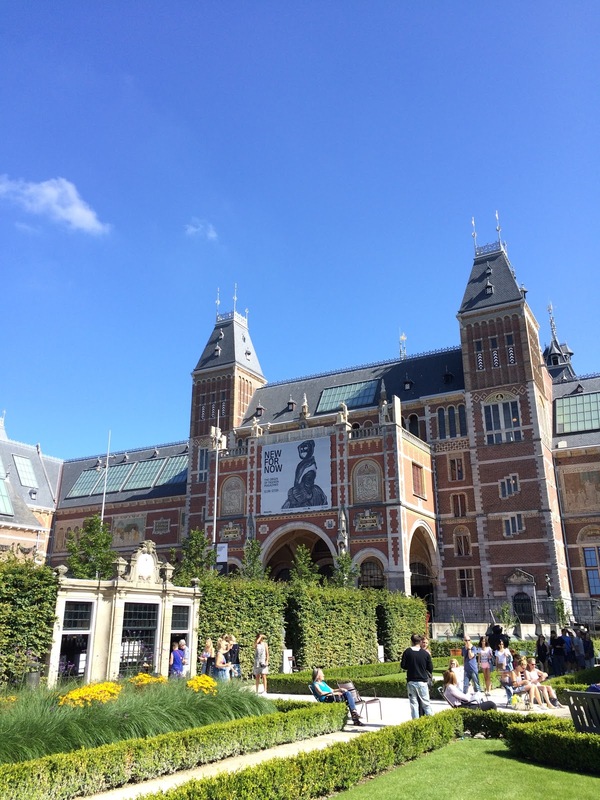 With the perfect view on the Rijksmuseum, Van Gogh Museum, Stedelijk Museum and the Opera, it's a good place to some touristy pics to send to mom & dad. On days with bad weather, I can recommend checking out the Rijksmuseum, my favourite of all of them (I would check out this exhibition). 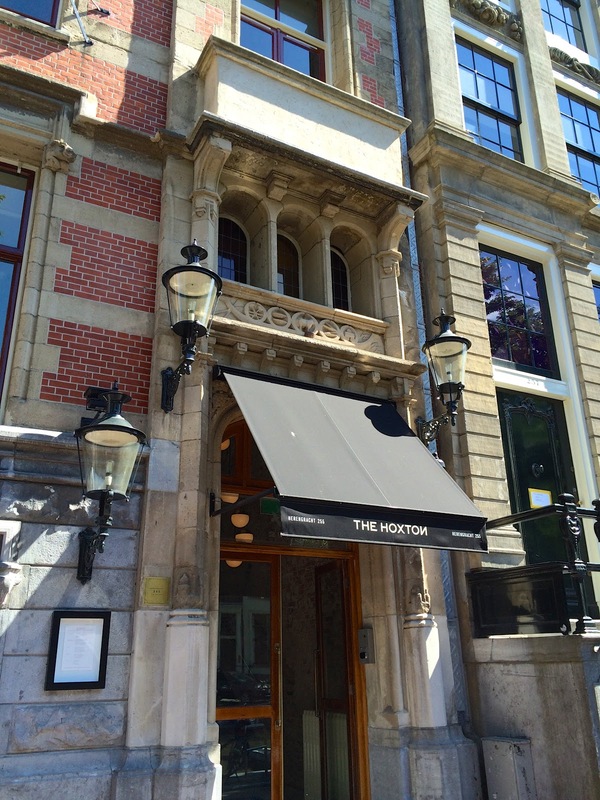 Amsterdam's newest hotel addition is The Hoxton, which has two hotels in London so far (Hoxton and Holborn). Though it's located at the Herengracht, overlooking the canals, it still has that cool and relaxed Shoreditch vibe once you step inside. I've heard that the beds here are mega comfy so I definitely want to stay here once! The restaurant Lotti's serves brekky and food all day to locals as well as guests. A little bird told me that the avocado toast is on point. At Frozz in Hartenstraat 36 you can get fresh froyo (different flavours, including matcha) with lots of toppings. The perfect place to cool off. Get a froyo, go outside and find a little spot on the stairs of a house or by a canal. Super cosy and refreshing! Love Stories is a lingerie brand that launched in 2013, opened its first shop last summer and pretty much took over the world in only one year. In Munich, I saw Love Stories underwear in every single boutique shop and department store. On the Herengracht you can find the first and original store which is filled with cute underwear, little interior details and a little boudoir which acts as a changing room. Lovely! I knew this place because I follow Pluk's tasteful Instagram. They call Pluk a 'pretty city escape' and that's really what it feels like: light, bright and filled with yummy snacks and piles of fruit. 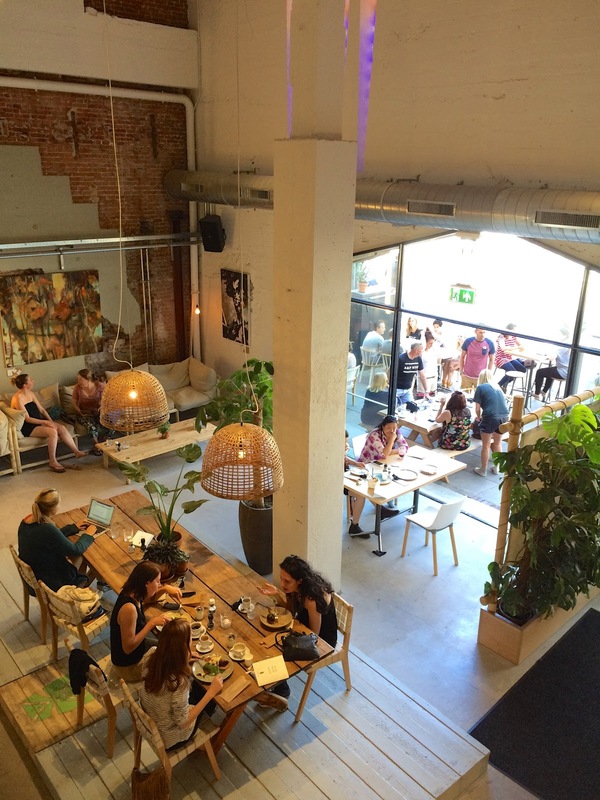 With an extensive menu of fresh, healthy and homemade food, it's the perfect spot for a little shopping break, right in the 9 straatjes. 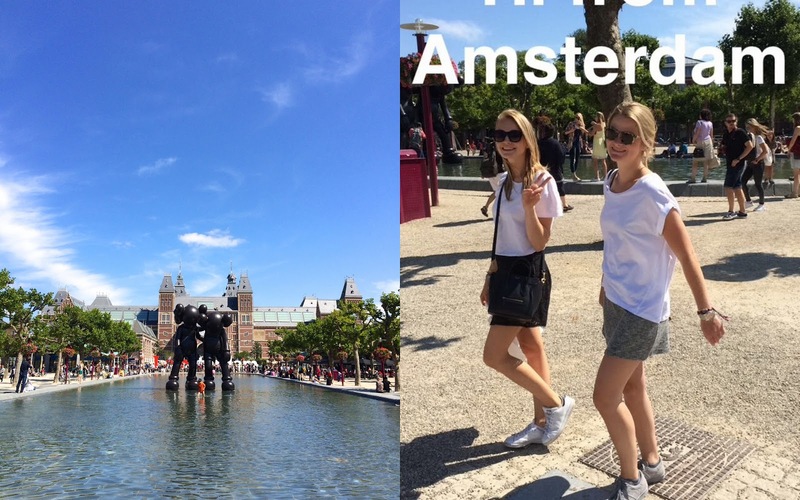 Those are my two favourite areas in Amsterdam and that's also where we walked around the most during the weekend. 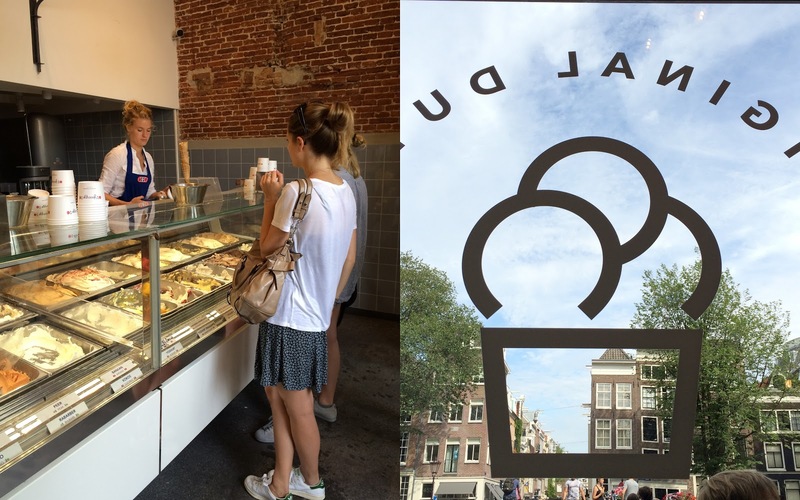 Both areas have lots of restaurants, cute cafés, the Albert Cuyp market and the Noordermarkt, concept stores, a little park, canals and bars. When walking around here you get that real Amsterdam vibe, love it! 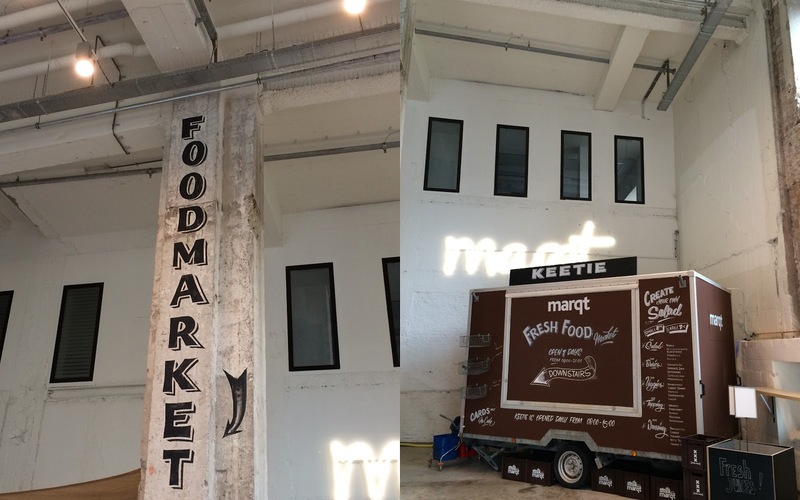 Probably my favourite place for food shopping in Amsterdam is Marqt; there are a few dotted around the city. It's similar to Whole Foods, and has all the things I love: Meridian Almond butter, special granolas, yummy energy bars, coconut water and freshly made food. It's kind of pricey but for a quick snack or picnic dinner/lunch it's perfect. We need this shop in Belgium asap. My favourite Marqt (and one of the bigger ones) is in the Utrechtsestraat. On Saturday we were in the mood for a relaxed dinner so I hopped on the back of my friends' bicycle (Dutch style) and a few of us cycled 15 min out of the city centre to a quiet grass field at the Amstel river. In case you're interested, our little spot was at the Korte Ouderkerkerdijk, nice and peaceful! If you're in for some cooling off, you can also take a dip in the river here. Bring a picnic, a few blankets and some beers and you're set for the evening. The former Art Deco Ceintuur Theater has been transformed into a huge restaurant/café with tropical vibes and a cosy atmosphere: CT Coffee & Coconuts. As the name says, you can get your coffee fix as well as fresh coconuts here, but there's so much more. The menu goes from breakfast & coffee all the way through to dinner & drinks. I had a cold buckwheat porridge with strawberry and mango, really tasty! The Acai bowl was definitely too overloaded with nuts but our drinks on the other hand were also great. Breakfast dishes are well-priced, there is free wifi and plenty of space to sit down (three floors!). I would definitely come here to do a bit of blogging work, it's the perfect creative atmosphere. After having strolled around the whole afternoon, we stopped at Raïnaraï, an Algerian place on a cute little corner. The food looks and smells amazing here, but we weren't hungry yet so just had a drink in the sun. It's the perfect sun spot because of the little platform and we spent a good hour here. Next time I'm definitely eating here too, I've heard good things about it! On Sunday evening it was already time for me to go back to Antwerp, so before taking the train I quickly cycled to SLA to get my final Amsterdam dinner. At SLA you can combine your own salads and choose all the toppings and dressing. I always pick Adzuki beans, sweet potato and some extra veggies. Their seasonal combinations are also always super good! 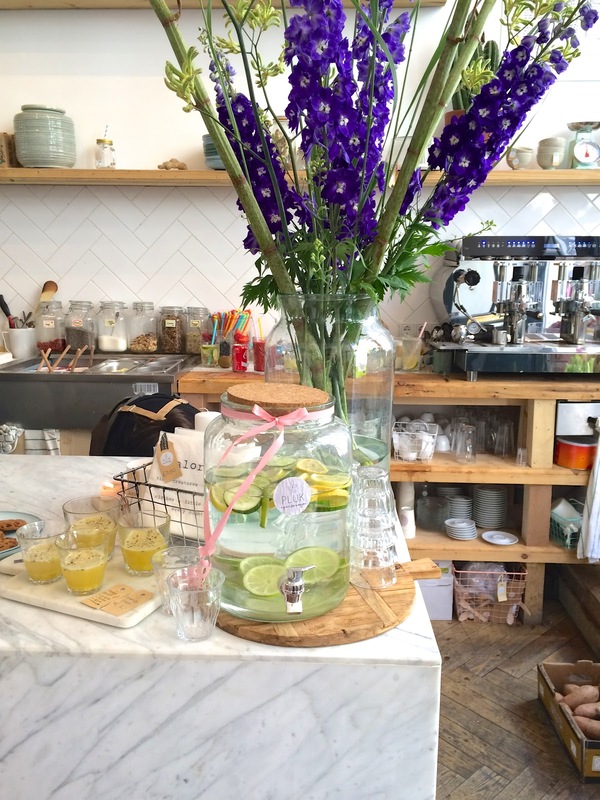 SLA is probably my favourite place ever for a healthy (and filling!) lunch or dinner. So that was my weekend, in short! 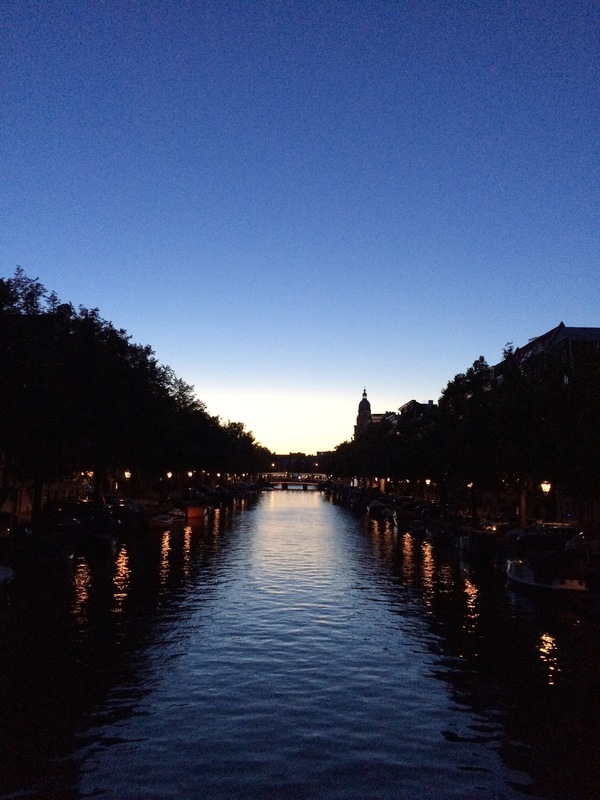 I loved finding some new places, Amsterdam is just getting better by the minute. 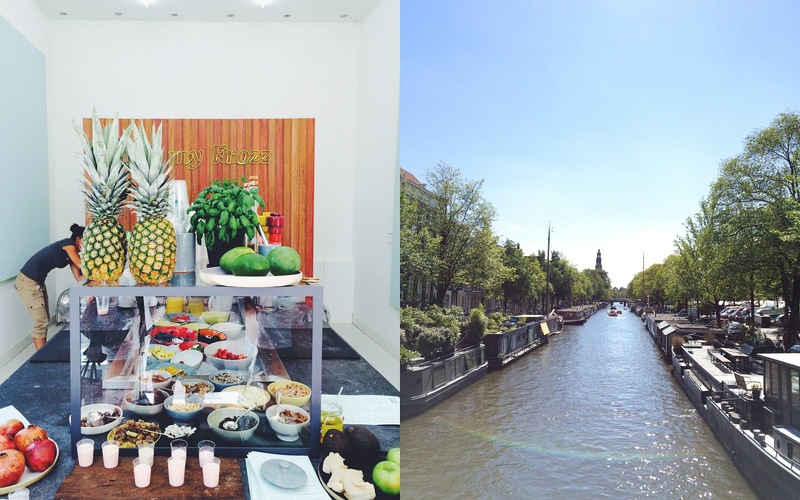 If you liked this mini-guide, you'll LOVE my big big Amsterdam hotspot guide. I've also updated the guide and Google map with the new places. 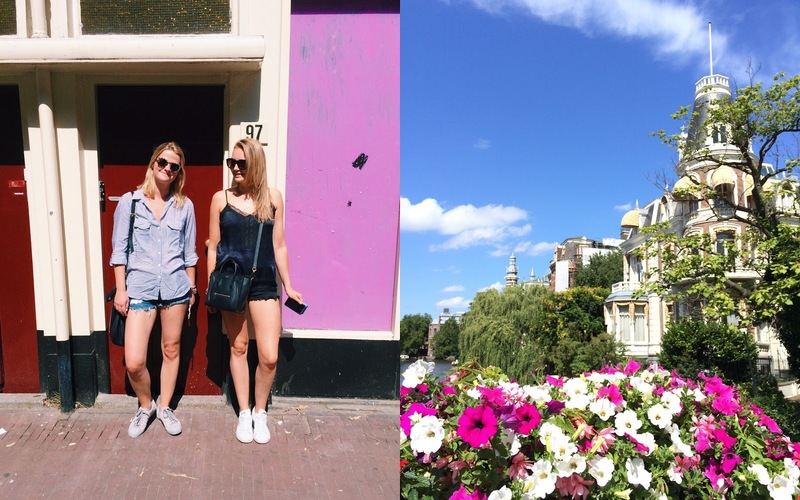 If you're going to Amsterdam for a few days, this guide will definitely give you some good ideas of where to eat, sleep, shop and drink. Let me know if I've missed out on any good hotspot!